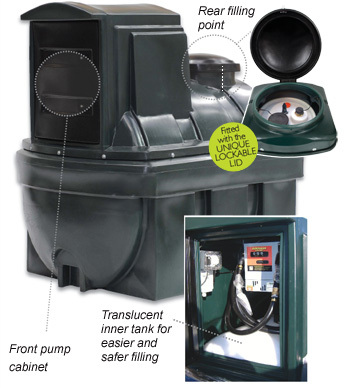 Our fuel dispensers with their unique rear fitted lid arrangement makes it easy for the tank to be filled without the struggle usually associated with the hose and pump area at the front. With the fill area located at the rear of the tank it creates more space inside the cabinet for the hose and pump to be stored neatly away while also reducing the risk of damage to the hose while filling. We offer free no obligation quotations and surveys.